Should You Buy New or Second-Hand Outdoor Equipment and Furniture? You've had good luck buying used stuff to furnish your home with an eclectic mix that is pinnable, and you've shopped for clothing at thrift stores since high school. With an overabundance of just about everything, doesn't it make sense to reuse or repurpose items for your outdoor living space too? Things like patio furniture, pottery, garden tools, and even high-ticket items like spas? We sort out the pros and cons of buying used vs new for several items that would furnish or enhance a yard. Naturally, new is usually better, but if putting off a purchase until you have the money keeps you from enjoying the pleasures of outdoor living, then why not consider buying used? When the Great Recession hit, many independent hot tub and spa dealers went out of business, since higher-priced items and luxuries were hardly a consideration when people were losing their jobs and homes. To keep their businesses afloat, some dealers became resourceful, took a cue from car dealerships, and started selling reconditioned used hot tubs in addition to new models. Now, if you enter a hot tub store, you may find separate sections for new and used. The advantage to buying a used spa from a dealer rather than a private party is that the dealer (if they are trustworthy) has gone through and refurbished everything. For models with more features, there are more things that could go wrong—so if you want a tub that works, a trip to a dealer is at least a good starting point. How old is the tub? Is there an original receipt and instructions? Is the hot tub manufacturer still in business? Do some online research. Some have been acquired by other companies. Was the spa covered when not in use? A used tub under a pergola will be in better shape than one left out in a corner of the yard, exposed to the hot sun, snow, and rain. If buying from a private party and the tub has been stored unused or was drained and sitting outside, it could have plumbing and electrical issues that would be hard to assess. Examine the shell (usually acrylic) for cracks. Depending on the materials of the cabinet (base), look for rotting if it is wood, or damage from soil, weather, or insects. Check inside the access panel while the tub is running with hot, bubbly water. Look for leaks, listen for loud or strange noises, and inspect the power of the jets. Let's say everything looks good and you've decided to buy a clean, used hot tub off of CraigsList. There's the issue of moving it from the private seller to your home. Factor in distance, weight, size, and time of year. Along with pianos and pool tables, hot tubs are one of the bulkiest and most challenging items to move. Search for "hot tub movers" online in your area or call a local dealer for recommendations. Look for haulers who are experienced, insured, have the right equipment, and the correct number of movers to complete the job. Ask questions and find out if the fee is per job or by the hour. 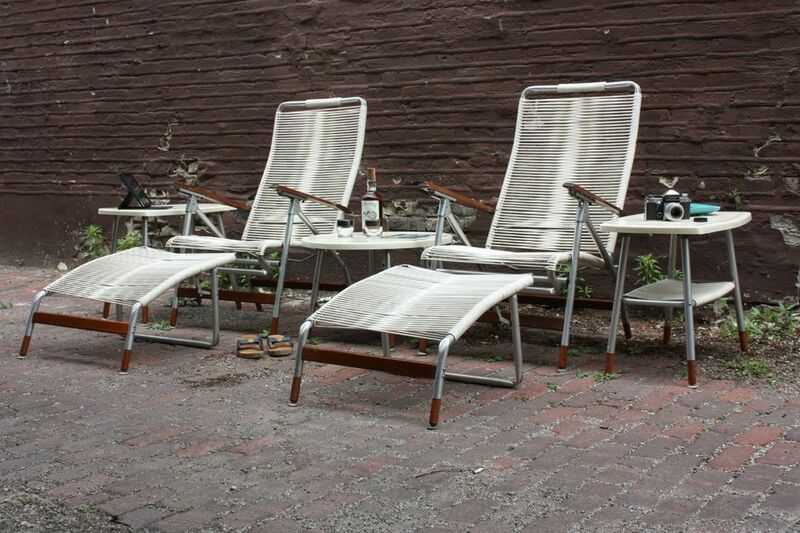 A look at CraigsList in different parts of the world for outdoor patio furniture will turn up varying results: in mild climates like California and Florida, you can find lots of nice, brand-name sets throughout the year. Regardless of where you live, check often—garden furniture is listed as people clean up, sort through estates, or move. Nicer, well-known brands like Brown Jordan, Tropitone, and O.W. Lee are made of quality materials, and, depending on how they are stored, can last for decades. Vintage styles have become sought after, and some sellers don't know what they are getting rid of. Inspect metal and wrought iron for signs of rust, especially near screws and bolts, which can be replaced. If the finish is chipped or worn, pieces may need to be powder coated (which can get expensive), unless you sand and spray it with a paint suitable for metal and outdoor projects. Hardwoods like teak and shorea can be sanded, refinished, and polished to look new again. Although it takes some time and effort, the result can be a beautiful, quality piece of patio furniture that can last for years. For $300, you can get a discounted, end-of-season set at a local big-box store or online from an off brand that is shiny and new, or you can score a complete set of used Brown Jordan off of CraigsList for the same price. It all depends on what you're comfortable with. If it feels better to own something new; go with that. Does either style coordinate better with the architecture of your home? Are the materials of the new set questionable or inferior? Will there be lots of repairs involved with the older set? Do you need to replace strapping, upholstery or cushions? Factor that into the cost. There are two basic types: charcoal and gas or propane. Used charcoal grills can be found for a low price at garage sales and on CraigsList, but check for rusting and loose or wobbly legs. Used grills are often the same price as new discounted models at hardware stores. Because there are more parts to inspect and things that could go wrong, a new propane or gas grill is a safer bet, especially since it should have a warranty. Portable fire pits are reasonably priced and smaller units are a good way to see how often you use one before moving on to something more elaborate. Check with local wood-burning laws, which will affect your choice of type: propane/gas or wood-burning. Also, consider the surface upon which the pit will be sitting: don't even think about placing it on a wood deck unless there is a fireproof surface underneath it; even then, there are sparks to consider. Patio umbrellas—even good-quality brands—tend to get left outside too long and are one of the first outdoor accessories to suffer the effects of stormy weather: they bend, rip, and sometimes even blow away. If it's just the fabric cover that has been damaged and the umbrella itself is in good shape, buy a new cover in the right size to replace it. Clean the frame and, if it's made of wood, lightly sand rough or weathered parts. Oil it with an outdoor wood furniture polish to restore its beauty, then replace the cover with a new one. Replacement covers are often of a higher quality than the ones that come with the umbrella and will probably last longer than the original. They are also available in an assortment of colors and prints. If the replacement cover is the same cost as a new umbrella, it may be time to donate it or send it to the recycling center. When and where was it purchased? Do the owners have the original assembly instructions? How many children used the set? Materials: what is it made of? Has it ever been moved? You can often score a good deal on a set if it was owned by a family with two or fewer children, who took good care of it, maintained and made repairs (sanding on wood, replacing missing screws, etc.). A look at the condition of the rest of the yard might tip-off how well it's been cared for. Also, think about disassembling the set: will the seller help, or do you have someone to help you take it down, pack it in a van or truck, and relocate it to your backyard? What's a used plant, anyway? For these purposes, consider cuttings, specimens from plant sales, or anything not bought from a certified nursery or home and garden store as "used." That doesn't mean anything is wrong with an overgrown plant you buy for cheap at an estate or yard sale or cuttings from a garden club sale or neighbor. Some stores discount plants that have been returned or are in bad shape. If you have a green thumb and love a challenge, this might be a good way to add more plants to your garden or try out new varieties. You may need to use scissors or garden shears to cut the plastic pots and release a root-bound plant, then shake or pound the roots and dirt to separate offshoots (which can be replanted separately). Trim away dead leaves, then repot in a larger container or in a suitable spot in the yard for its light/shade needs. Add fertile soil and give it a good soaking, followed by frequent water until it is established. If you are new to gardening, give yourself a break and start with rich, loose soil and six-packs of small plants. Water them per needs and, hopefully, watch them grow and thrive. As you become more savvy, experiment with cuttings and root-bound specimens. Some people will take anything if it's free—even dirt. Unless it's from a neighbor or trusted source, refrain from hauling that soil into your yard—it may be the wrong type for your region. Instead, go with new bags of garden soil from a nursery or garden center. If you are looking at a used gazebo, pergola, or other outdoor structure, consider the materials. If it is constructed of sturdy metal that has not rusted or wood that is not bending or splintering and seems solid, inspect further. Are the screws and bolts wobbly or tight? Can they be tightened? Are the vertical parts aligned or crooked? If it's the latter, this could indicate some wear at the bottom, which needs to be checked out. As for new: sometimes you can get an arbor or pergola during an end-of-season sale at a store like Target that is clearing out for the next wave of back-to-school merchandise. Sometimes the discounts are deep. Make sure all the parts are there if it was a returned item. If you come across used or vintage pottery at an antique store or flea market, check for cracks, even hairlines. Chips around the rim affect the look for serious collectors, but it won't affect the ability of the pot to hold soil and a plant. The advantage of vintage pottery is that they are unique, go with a certain architectural style and period of a house (Mid-century modern, Craftsman, etc. ), and you can sometimes get them for a great price if the seller has no idea what they are getting rid of. If the pottery is new, it should be in good shape. The polyresin types are made to mimic textures of stoneware and other types of pottery, but are comparatively lightweight and easier to handle and move around the garden. Some countries use lead in their pottery; make sure you know where it was made. Pass on tools that are rusty and falling apart, unless they happen to be a top brand and you know from experience that some linseed oil or elbow grease will bring them back to near-new condition. Otherwise, invest in good quality, sharp new gardening tools from a reputable brand, like Fiskars, Felcos, or Corona. If you're the one doing the yard work, you owe it to yourself to have tools that perform well. Hot Tub vs Spa: What's the Difference?